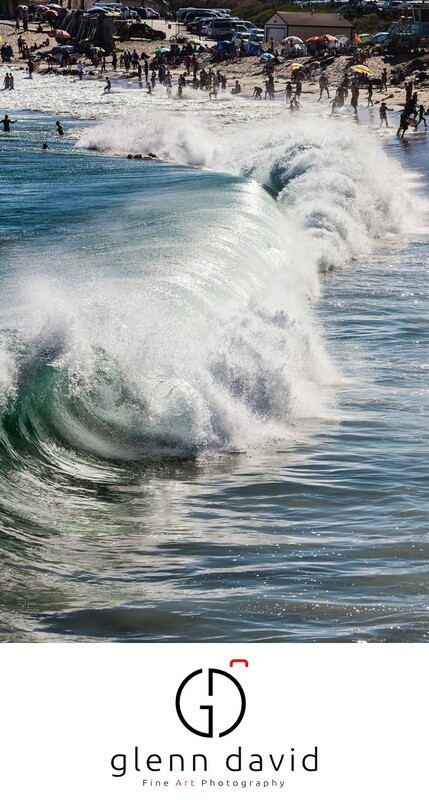 A huge summer swell pounds Surfrider Beach in Malibu. I like to take images that make people think about where I was standing when I shot it. In this case I was on the Malibu Pier shooting west. The waves pounded the shoreline and the kids roared with delight. It was a great day! Every day in Malibu is a great day!